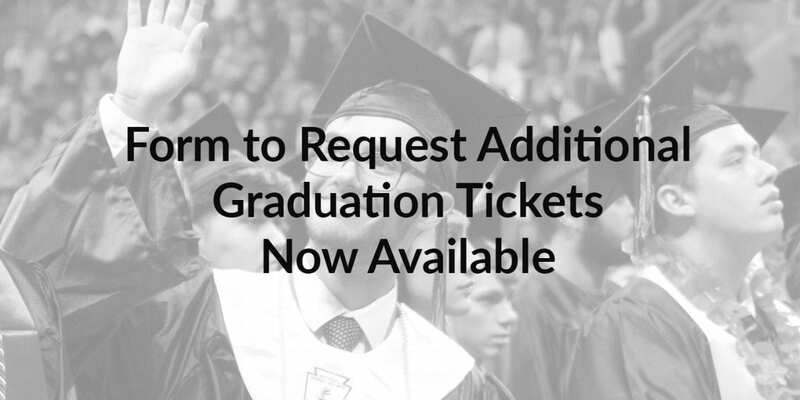 For families needing more than the six allotted graduation tickets for the May 2019 ceremonies, an online request for additional graduation tickets may be requested. The form will be available to complete from Feb. 11 to Feb. 22. The submission of the form does not guarantee additional tickets. If all ticket requests are able to be filled by the deadline of Feb. 22, families will be notified. If the campus has a shortfall, all requests will be subject to a random selection process. All families will be notified by March 1 if their request for extra tickets is approved or denied. If tickets are still available after working through this process, campuses will communicate how they will be distributed to graduates still needing more.